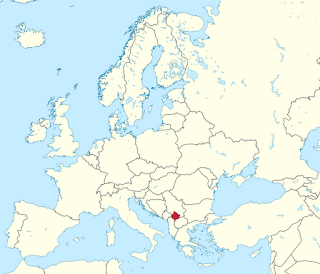 Kosovo is situated in the center of southeastern Europe, in the central Balkans. 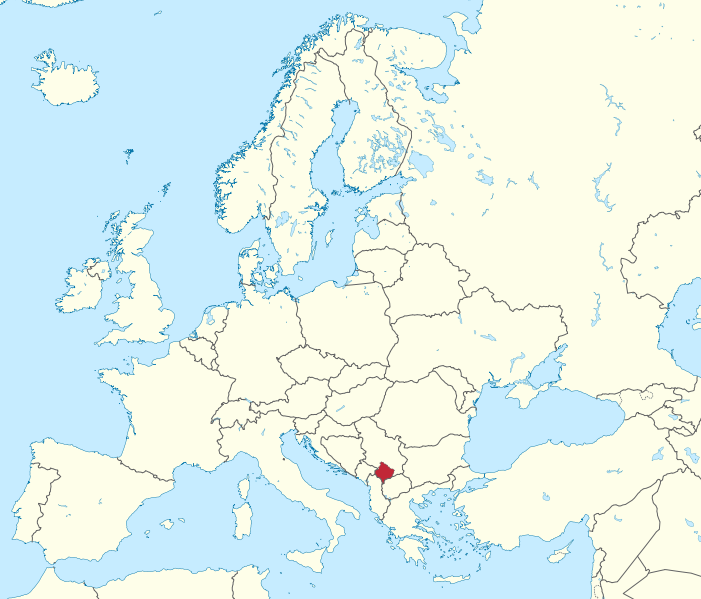 It shares borders with Serbia, Macedonia, Albania and Montenegro. Prishtina is the capital city. After the 1999 Kosovo War, the UN Security Council passed UN Security Council Resolution 1244, which placed Kosovo under transitional UN administration (UNMIK). In February 2008 the Republic of Kosovo declared its independence and over the following days, a number of states announced their recognition, despite protests by Russia and others in the UN. As of February 2012, 88 UN states recognise the independence of Kosovo. Kosovo represents a treasury of ethnic and religious heritages from various historical periods resulting in a mosaic of cultures. These heritages were influenced by a variety of historical, social, economic and religious circumstances. The entire artistic value as a heritage belongs to various styles, as Albanians and other peoples were inhabitants of this region. The insufficient enforcement of the Yugoslav environmental legislation, the complete lack of environmental protection during the last ten years and the conflict has resulted in huge problems regarding the present environmental situation in Kosovo. Due to the decline of industrial activities during the 1990s, direct emissions to the air have declined but remain a big problem. The most important air-polluting sources are coal-burning power plants. Air pollutants contributing to climate change, acidification, eutrophication and formation of ground-level ozone respectively and dust, are emitted from the plant and contribute significantly to the bad air quality. Road transport is the next major source of air pollution, while the mining industrial complex in the Mitrovica area is another hotspot. About 80-85 % of all heating in Kosovo comes from firewood. Burning of firewood and fossil fuels, along with waste set on fire by households or at landfills, also cause a lot of damaging emissions to the air. Dust in the cities from increased traffic and old vehicles are other more recent concerns. Water resources are unevenly distributed in time and space and increasingly scarce. 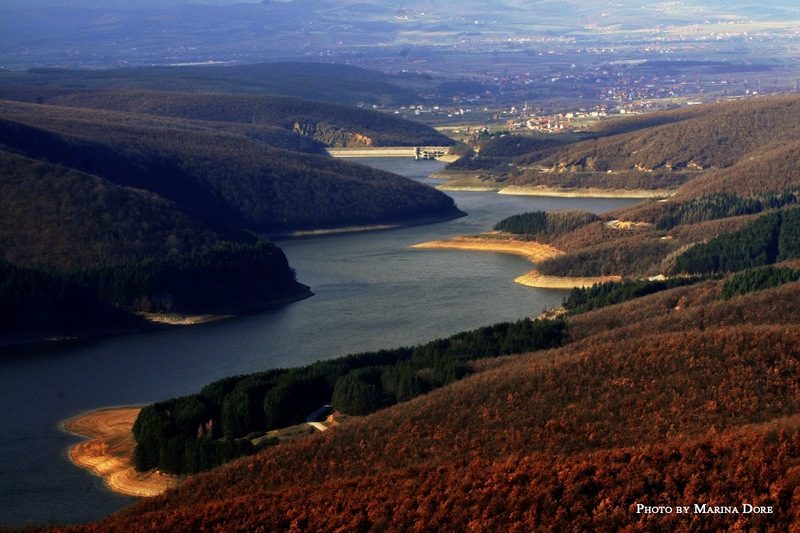 Kosovo is currently facing problems of both inadequate quality and quantity of its water resources. The main causes of water scarcity include, among others, increased consumption, inefficient use and leakages in badly maintained water pipes and extended irrigation. Chemical and bacteriological monitoring shows that the majority of rivers in Kosovo are badly polluted. Major sources of pollution are mines, tailing areas, municipal dumps and sewers from the bigger cities. The lack of treatment of wastewaters from industries and power plants leads to heavy metal contamination and acidification. Also groundwater and rural wells are affected by the lack of sewage and wastewater treatment and by organic contamination. Kosovo’s soils are inherently fertile but have been degraded for reasons like open coal pits, disposal sites for soot, widespread dumping of household waste, etc. Contamination of soil and foodstuff by heavy metals including lead is a serious problem in areas where mines and industrial facilities are located. Hazardous materials and chemicals such as detergents, pesticides, building material, etc. also damage the soil. 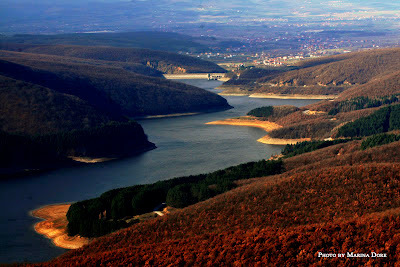 Roughly 40% of Kosovo’s territory is covered by forests. Parts of the forests are in bad condition due to inadequate management and illegal logging. The high demand for wood after the war, has put increasing pressure on the forests, leading also to increased soil erosion and landslides. Only a third of the forest is considered ecologically healthy and economically productive. Currently 4.3% of the Kosovo territory is protected area, including a national park (Sar Planina), 11 wild sanctuaries, 37 natural monuments and two protected landscapes. The management and monitoring of protected areas is very weak due to the political instability and lack of financial resources and institutional capacity. Several species of plants are known to be on the verge of extinction - mainly due to human activities. The biodiversity and ecosystems are threatened by new constructions, illegal deforestation, sand mining, increased water abstraction, illegal exploitation of gravel from the river beds, pollution, etc. Climate change is likely to enhance already existing climate variations. Projections for the whole region indicate higher temperatures and more irregularity in precipitation. Predicted consequences are: increased water stress and affected biodiversity and ecosystems. It is expected that cold extreme events will be less frequent. Although summer precipitation is expected to decrease, the intensity may well increase. Hence, there is a risk for enhanced occurrences of heat waves, droughts and forest fires, as well as floods. In Kosovo, where safe water is already a scarce resource, adaptation to climate change is likely to become a hot topic. The low membership in socially based and political initiatives, as well as similar levels of volunteering in both of these fields characterise Kosovar society as a highly indifferent one with high level of apathy of citizens towards public life in general. However, higher levels of non-formal and individual activism, such as community engagement and participation in various individual political actions, indicate that the potential is present and needs to be activated by CSOs and other stakeholders. This confirms the perceptions of a gap between CSOs and citizens, which is also reflected in the level of trust towards CSOs and political parties. As civil society's main strength focuses on the active participation of citizens to advance shared interest and create links, this low level of civic engagement is one of the most important issues to be addressed by Kosovar civil society. There are very few available data on specifically environmentally-focused groups in Kosovo. A Memorandum of Understanding between the Ministry of Environment and a number of environmental NGOs was signed in 2009, but no signs of its implementation have been identified until now. The environmental movement in Kosovo, if there exists one, remains limited to a very limited number of CSOs and individuals. Administrative Directive on regulation and standards for emissions from mobile sources. Corporate Social Responsibility practices in Kosovo are mostly limited to charitable donations and projects. The main aims of the Kosovo CSR Network are to embrace responsibility for the company's actions and the encouragement of a positive impact on the environment, consumers, employees, communities, stakeholders, and the wide public. The identification - for as wide as possible a range of enterprises - of socially responsible programmes, of their philosophy, of their direction and methodology. The identification of new elements of social concern and the expansion of the Network membership to representatives from SMEs. The main priorities of the Kosovo CSR Network are transparency and ethics, elimination of child labour, the protection of the environment, and philanthropy.